The Mount Baker Suite is located on a dramatic hilltop view site adjoining the main house. It has a private entrance and access to our private beach. The suite is about 1,000 square feet and has a large deck with a lovely view of the orchard as well as a stunning view of the water and mountains. 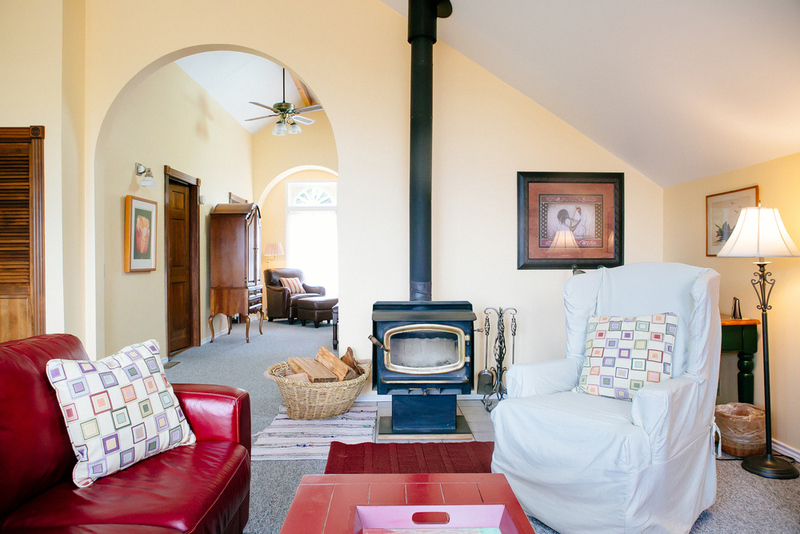 Inside there is a large living room with wood stove, a fully equipped kitchen, a large bedroom and a full bath. It is fully furnished with your comfort in mind. 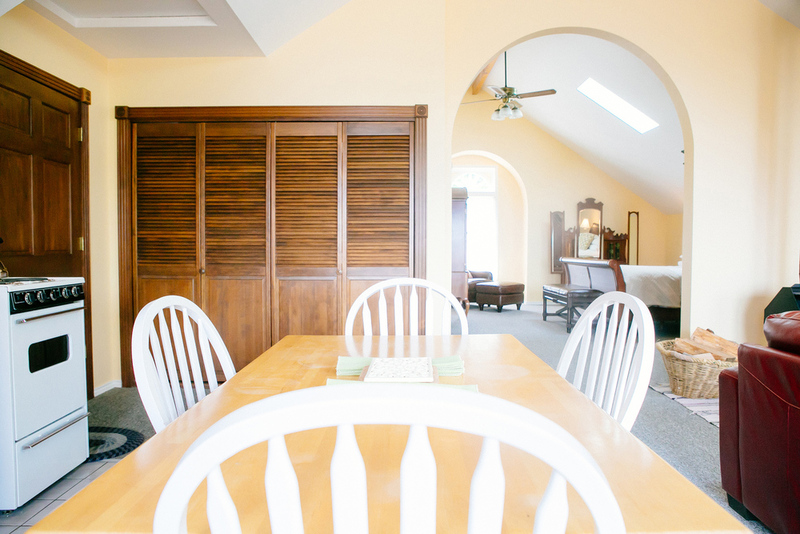 There is satellite TV, DVD, CD and radio and free wireless internet access. 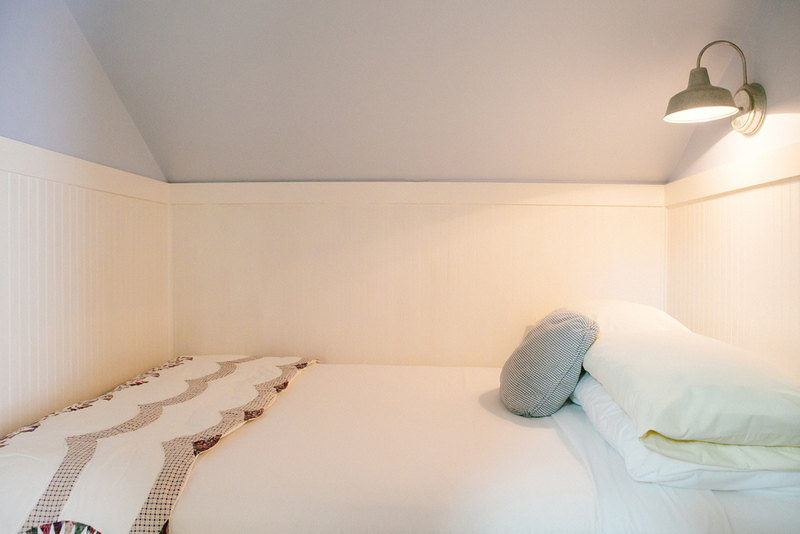 The bedroom has a king bed and a double bed sleeping alcove adjoining. It is perfect for a romantic getaway for two, but yet large enough to accommodate a small family. Maximum occupancy is three people.